So I am pretty late in getting this to Mia, but with all the nightmare weather and deadlines galore I can finally get to the PO today. So I thought it was safe to post photos of it. It isn't much of a surprise since Mia has known about her Christmas gift even before I left for London. 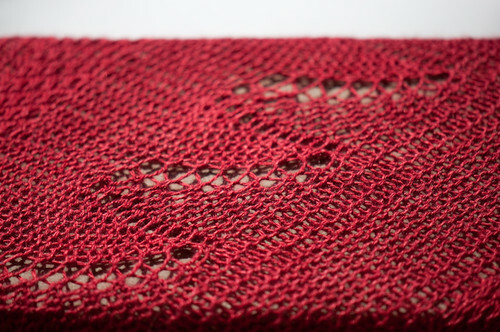 So here are pictures of the finished scarf. I like it!! I want to wear it NOW!!!!!! 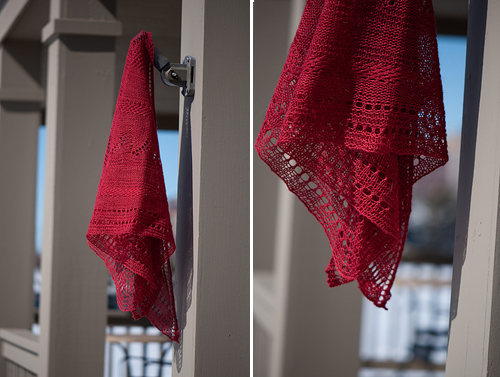 Your version of this shawl is so fine and delicate and the colour is so gorgeous. 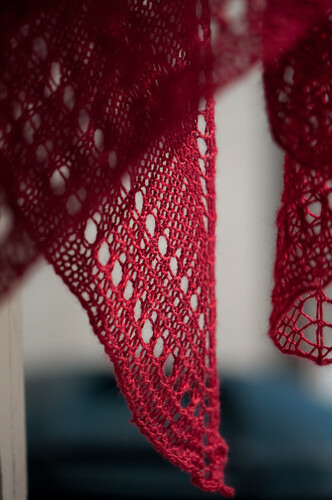 Lovely shawl!